The Cappelletti Builders team of dedicated professionals has logged over 150 years of custom building experience. We employ only the top tradespeople for whom quality and client satisfaction is the number one motivator. And our attention to your specific needs is matched only by our professionalism and focus on the fine details that make a project exceed expectations. Marty Cappelletti is celebrating his 40th year of owning Martin J. Cappelletti Custom Builders, Inc. The organization boasts some of the most talented people in custom building. “I believe in surrounding myself with the very best people and listening to their ideas. From the office to the field we service our clients to the very best of our ability every day”. When not working full time, Marty spends time at the shore, on the golf course and playing baseball in a senior men’s league. Marty is married to his college sweetheart Joyce and lives in Berwyn. helper. He worked as a carpenter until 1987, when he began supervising projects. His first project was a 192-unit townhouse development. In 1990, Andy began working for Cappelletti Builders and has been managing projects large and small for 27 years. Andy has been married to his wife, Lisa for 30 years and has two children. 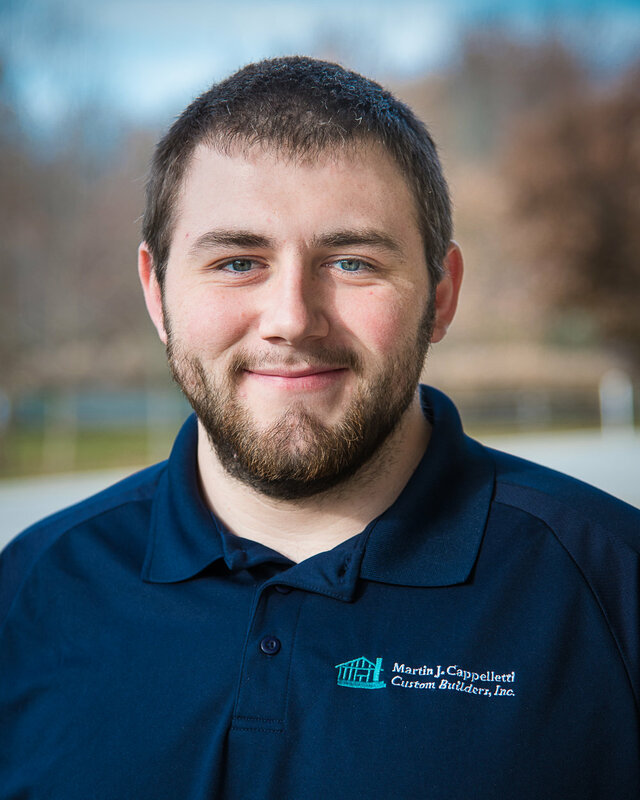 Joe began his career at Cappelletti Builders in 2016 after graduating from Widener University with a BS in Finance. Joe spent most of his first few years shadowing Marty and learning the ins and outs of the construction business. Joe now provides the project management work for the company, along with doing the estimating and back office work. Joe lives in West Chester with his wife, Jackie, and his son, Vincent. In his free time he enjoys spending time with his family and golfing.